Our principal Cecile Kiener established the Touch2Heal Acupuncture Chatham Clinic in 1994. In addition to Chatham Acupuncture Clinic we also have another clinic in Ashford, Kent. After studying Chinese acupuncture, Cecile qualified from the British Acupuncture College in 1994. Cecile followed this by training in Japanese acupuncture as well. She brings all these techniques together in her holistic approach to treatment. As an affiliate acupuncturist to the world renowned fertility expert, Zita West, Cecile has helped numerous couples conceive. Find out more about Cecile and her team by clicking on About Touch2Heal. Acupuncture is well established now as an alternative therapy for treating a variety of illnesses and conditions. It can alleviate many stress and tension related problems including migraines and chronic headaches as well as physical injuries. Discover how acupuncture can help you. 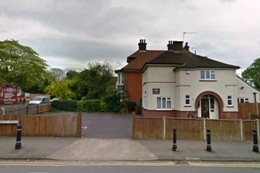 Our Chatham Acupuncture Clinic is located within The Mason Clinic which is situated on the corner of Cornwallis Avenue and Maidstone Road in Chatham, opposite the Texaco fuel station. Our site has free parking including disabled bays. It provides wheelchair access too. To find out more about our clinic, location and fees please click on the Chatham Acupuncture Clinic link. We run regular osteopathy and acupuncture clinics in Chatham, Ashford and Dover, Kent. To book an appointment at our Chatham Acupuncture Clinic please call 01634 842583 or email us at enquiries@touch2heal.co.uk. I could always feel the tension in my neck and shoulders which would lead to a migraine attack. Cecile has treated me for four months and the tension has eased considerably greatly reducing the frequency of attacks. I tried several different treatments for my tennis elbow but the thing that worked was acupuncture. Thanks to Cecile I’ve been pain free for 6 months. I’ve tried so many things over the years for my arthritis with little success so a friend suggested Cecile and acupuncture. I can hardly believe the difference it has made. I’m not really sure how it works but it does. It’s incredible. To say I was sceptical would be an understatement. However I was diagnosed with a low sperm count of poor quality so decided to see if acupuncture could actually work. We’ve now been rewarded with a lovely daughter which says it all.